Reebok signed a long-term deal with CrossFit® and a partnership emerged that would grow to span the entire globe and completely reshape the fitness industry. Worn by champions like Rich Froning and Katrin Davidsdottir their signature shoe “Reebok CrossFit Nano” is one of a kind training shoe. 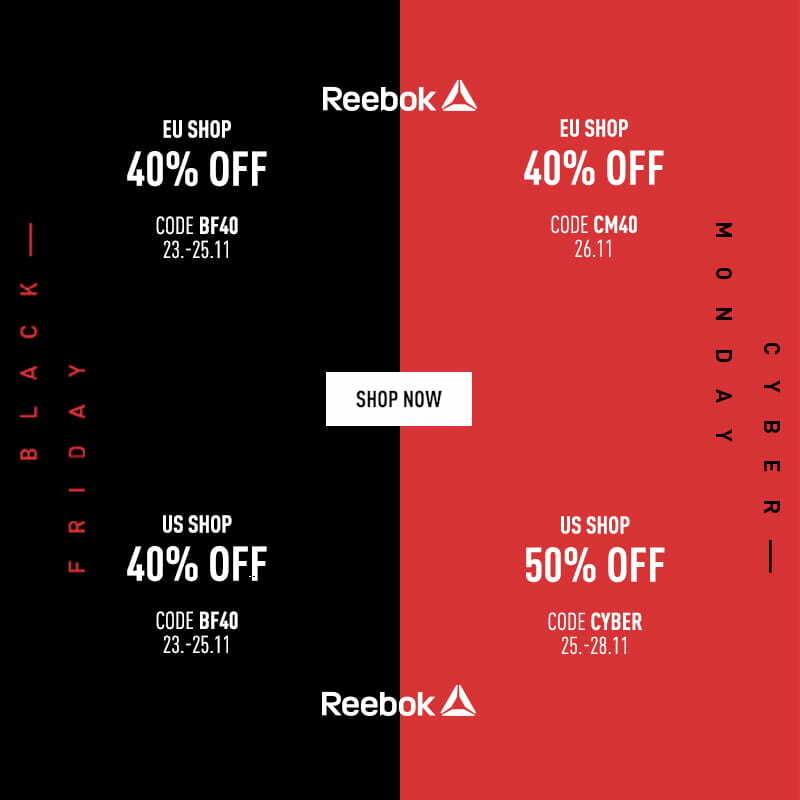 Reebok Europe has you covered with 40% of until Monday and the Reebok US site offers 40% OFF sitewide with code BF40 until 11/25. From Sunday to the 11/28, they even offer a massive 50% OFF sitewide with code CYBER for their Cyber Monday Deals promotion.